Three college students set out to document what other people dread most. I'll be honest, I've watched many of the After Dark Horrorfest (a.k.a. "8 Films to Die For") films and none really left an impression on me. 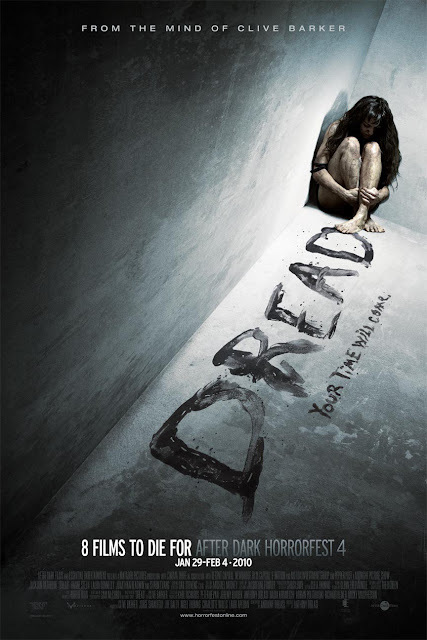 Just when I was going to give up on them I saw the poster for "Dread" and it intrigued me, then when I saw the line "From the mind of Clive Barker" I knew I had to give this a chance. Making a screen adaptation of a book is rarely successful, let alone a short story so despite my curiosity I was sceptical. Now for you fellow Barker fans I feel it's fair to say that his work his work has never really made the story to screen transition successfully. Despite the source material being changed this film seems to be one of the best so far. Director Anthony DiBlasi had done 2 previous film versions of Barkers stories ("Book of Blood" and "The Midnight Meat Train") and although they weren't the best of films, DiBlasi does seem to be able to create a tense atmosphere that grips you and never lets go. He manages to create that atmosphere once again and also manages to get the plot across very well. The movie is very well paced, we get to know our main characters very well which is essential to the story unravelling on screen. The actors do a great job of slowly drawing us in-to their dark world, even the portrayals of supporting characters having troubled lives draws the emotion to the forefront and truly makes you feel pity for them and the actions they under go. This is not your average Horror film, this is a film that requires your attention, if you give it your full attention for 108 minutes it's on you will be rewarded with a great story full of disturbing scenes, great dialogue and a few twists. I don't want to give away too much and spoil it for you but I do highly recommend it. 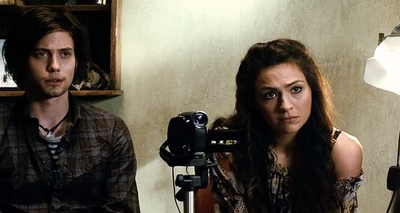 This film is not for the easily disturbed, easily queasy or anyone who watches these films through their fingers. I loved this movie. The meat shot was just god awful and horribly perfect. Raz's Midnight Macabre Will Return On Monday! Are You A Horror Junkie? Horror Sequels: How Much Is Too Much?